Blog3: How to cope with stage fright? 3: How to cope with stage fright? Are you scared of presenting your fine research in front of an audience of your scientific colleagues? 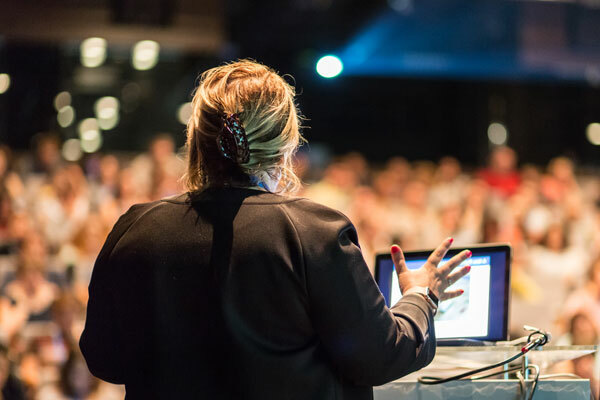 Read our 10 strategies to learn how we can help you to be less nervous when delivering an oral presentation at a scientific conference. Congratulations! You were picked from many researchers to present your work. This is phenomenal! You can show all your peers what great stuff you have worked on over the last couple of weeks and months. What a triumph! Or is it? Of course it is cool to have the chance to present at a scientific meeting, but it can also make you feel terrible. You love your work and you would love to show it to your colleagues, but not on stage, not to all at once, not at this meeting, not in front of so many people, not all alone, not with all eyes on you! Many of us do not present often. It is an unusual situation for us. We are exposed. We stand in front of an audience who can study and follow us in detail during the presentation, watching every move we make. We are afraid of failure. We want to avoid our presentation flopping. We fear to be negatively judged by the audience. We are afraid of forgetting what to say during the talk. We don’t want to embarrass ourselves in front of our peer audience. Many people share these fears. Public speaking can sometimes feel like a do-or-die situation! We’ve come up with 10 strategies below to help you to reduce these fears. It’s OK to be afraid of the many things that could go wrong at your next talk. We all have some of these fears. It’s good to know you are not the only one who feels like this. You know what helps? Facing those fears by putting them down on paper. Sit down for 10 minutes and make a list of all the things you think that could really go terribly wrong during your presentation. You can use our free worksheet “Assessing your presentation fears”. Think about what is the worst thing that could happen when all things fail. Is it really so bad? Once you have this list, you’ve created the worst case scenario for what could happen at your next talk. Now, let’s assess how likely is it that these things happen all at once. Once you’ve assessed your list, review it again and think about how you could possibly react to a single element of what could go wrong. You have the time now to really think about it and find a solution to most of them. Think about an action, a comment or anything else for how you could respond to the scenario. Thinking about these solutions will make you feel far less frightened. You will learn that there is always a solution that allows you to continue with your talk. And don’t forget, the likelihood that the worst should happen to you at your next talk is really very, very low. But if one of the things you imagined really happens, you have a solution ready. Now after you have done the worst-case scenario assessment, stop thinking too much about all the things that scare you. Instead, think about the good work you want to present. What is the highlight of your presentation? What is the one thing, the one message you are actually proud to present to others? Make a list of the messages you are presenting, those which you are excited about and that you think your audience will love to hear. When you design your presentation make sure you give these messages enough space and attention. Ensure that you have a clear idea of the message(s) that your audience should take home from your presentation. Is this message identifiable in your presentation? 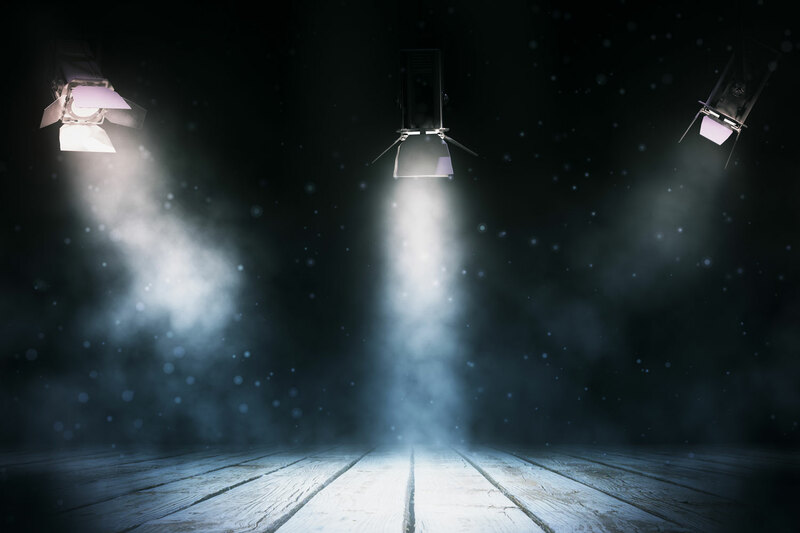 Can the audience follow you? Will they be able to pick up on this message? Do everything to focus on this one message. This will help you put your most valuable content into the fore. The audience is then more willing to listen to all other aspects if they can get a clear and relevant message from the get-go. It may sound obvious, but it is a very simple solution: When you are well-prepared, you will be a less nervous presenter. Over the years, we have attended many conferences and seen many presentations, both good ones as well as poor ones. Sometimes, as you sit there in the audience, you realise that some presenters are just not well-prepared. They have not really thought how to get their messages across to the audience. They have not taken the extra effort to adjust their messages to the specific audience they are presenting to. Some presentations literally feel like they were crafted the night before! Their messages were not clear, slides were overloaded, their performance was poor and you could see how hectic and nervous the presenters were. Have you experienced something similar? Such a poor performance does not have to befall you. Spend enough time preparing all parts of your presentation. Consider your audience in your preparation and think what information they will need and what could be left out. Being prepared also means that you better start well in advance with conceptualising your talk. Start early, get it done and then let it settle for a few days before you have to deliver it. You will see, you will be less nervous! Strategy 4: Rehearse, rehearse, rehearse! Rehearse your talk well before you have to deliver it. Rehearse back at your institute, before you leave for the conference. Rehearse in front of a real audience of your friends and colleagues and listen to their feedback. Rehearse difficult wordings, parts, and transitions more often. Rehearse where you stand and how you move on stage. Rehearse the use of the technology. Check your timing after a few rehearsals. Do this once you are a bit more fluent in your delivery, to know whether you are good in time or not. Rehearse also at the conference venue. Proper rehearsal of your talk will give you the confidence you need for a good presentation. If you rehearsed your talk and you are able to fluently present it, rest assured, you will do fine! Do you still feel nervous despite being well-prepared and having rehearsed your talk several times already? You have an increased heartbeat, dry mouth, wet hands? You would love to go anywhere except on stage? Take a deep breath. Rest assured, you are not the only one who feels like this. It has to do with the fact that a presentation is an exceptional situation for many people. You’re exposing yourself to a crowd of mostly strangers. And this makes you feel threatened. So what to do? If you are prepared, you have no reason to be scared. Calm down! OK, it’s easier said than done. But you know yourself best, you know what helps you calm down in similar situations. Speak to friends and get involved in a nice conversation. Go for a short walk before you present. Take out your headphones and listen to music. Have a nice snack or drink. Just sit down and take deep breaths. Think about one thing that you will reward yourself after your talk is over (it should be something you really look forward to). Most of us love our research. We spend a lot of time and energy collecting data and generating meaningful results. We guess that you feel the same? So please, show us that you love your work. Show us that you are excited! Other people in the audience have NOT done the same as you, so they want to hear what you did and why you did it. They want to hear it from you because you know it best. When the audience sees the excitement in your face, it will bring you into a very favourable position. You look far more confident and you are more likely to receive positive remarks and feedback. When you smile with excitement, you will become more relaxed and feel and look less nervous. You are afraid that strange things may happen during your presentation, and you are most afraid that they will happen in front of an audience. For some presenters, the audience then changes from a bunch of friendly colleagues into a group of hostile opponents. Why not change these opponents into friends again? Think about how you could connect with your audience during your talk. An audience that gets involved in a presentation will be far more interested in it succeeding. So, use every possibility to let the audience become a part of your presentation. Interact! How do you do this? Ask your audience questions and give them time to think about them and answer. Show them examples that they can relate to. Use a short poll on a relevant question during your talk and take a quick vote from the audience to hear their opinion. Include some statements from the conference delegates as sample views on the talk topic. You can collect the statements from volunteer delegates beforehand. We are sure you can come up with many more ideas for audience involvement to turn the opponents into friends and participants of your presentation. Exceptional situations require exceptional behaviour, and you may think if you present at a conference you need to be super professional. Really? Not so sure about that. Nobody at the conference expects you to be an actor or a professional presenter. Nobody assumes that you are free of faults. So why would you put unnecessary pressure on your performance? We all have our quirks, whether it is our attitude, the occasional odd movement with our arms or legs, or look a specific way. This is just the way we are. Of course, we want to look good during our presentation. We want people to like it and enjoy the time they listen to us. You know what people enjoy the most? When they see an authentic performance. Be yourself and accept the little mistakes we sometimes make. It makes life more interesting and it makes your presentation unique, and you feel better. A common reason for stress when preparing and delivering a conference talk is lack of time. Imagine, you arrive at the conference venue literally at the last minute before your talk. Wouldn’t you feel stressed? Wouldn’t you be extra scared that you may arrive late and people will have to wait for you? Why not avoid that trouble all together? To help you keep calm and conquer nerves before your presentation, be at the venue in good time. Then you will have time to look around a bit to see the venue where you will present, to meet some people, and to adapt to the specific atmosphere of an academic meeting. You know at which moment you are actually the most nervous? It is the five minutes before you go on stage and during the first five minutes when you are presenting. The strategies above give you some idea of how to be less nervous before your talk. Now, let’s focus on the first five minutes of your talk. Prepare your talk in a way that you will make an impressive start. Catch the attention of the audience by presenting them the relevance of your talk. The beginning is vital because your audience will judge at a very early stage if they like your talk or not. It is therefore most important to start your talk strong and learn the beginning by heart. A good start to a presentation will win the audience. You’ll be surprised, nerves die out after five minutes, if not even earlier. During the rest of your presentation, you won’t be nervous, you will just be running through it. If you start strong and focus on a good beginning, you will have no reason to be nervous anyway. If you are nervous about going on stage and presenting in front of your peers at an international academic meeting, you are like many researchers. Some researchers lack experience in presenting, or they just don’t like it because it’s not their cup of tea. Nonetheless, most of us have to present our research in one way or another to audiences, so there is no way around it. Stage fright is part of any kind of presentation. Even professional presenters feel the prickle when going on stage and performing. They have just done it much more often than you and therefore have confidence in themselves. But if you are nervous about presenting, you’re showing that you care about the quality of your presentation. You want to perform well, otherwise you wouldn’t worry. We’ve given you 10 strategies that hopefully can help you reduce stage fright and make your conference presentation not only a better talk, but also a nicer experience for you. Download our free worksheet “Assessing your presentation fears” to find out about your anxieties and how to combat them. We’ll keep our fingers crossed for your next oral delivery and don’t forget that with experience comes greater confidence.